....a direct-to-customer website enabling consumers to order and receive one of their high-quality hand crafted singing bowls directly from Nepal. 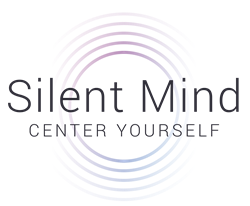 Silent Mind, the #1 retailer of Tibetan singing bowls on Amazon, has launched a direct-to-customer website enabling consumers to order and receive one of their high-quality hand crafted singing bowls directly from Nepal - http://www.silentmindsingingbowls.com. In recent years, singing bowls – alternately called “Tibetan bells,” “prayer bowls” or “chakra bowls” - have exploded in worldwide popularity, due to their versatile and beneficial use in meditation, music, relaxation, and overall personal well-being. Unfortunately, with their popularity have come many manufacturers producing shoddy, inferior products. Many factors influence the sound emitted by a singing bowl, requiring that each variable works in harmony – an issue which can lead to problems if any particular aspect is ignored. Quality bowls are “tuned” by the craftsman during production. The composition of metal alloy used in the bowls is of paramount importance, with cheap materials resulting in limited sound. Purchasing from a reputable dealer is even more vital when buying online where the customer is unable to test the Tibetan bowl personally. Silent Mind sources its bowls directly from an experienced craftsman just outside of Nepal’s capital, Kathmandu. Respecting the skilled artisans, the company always operates under the “fair trade” paradigm, meaning they fairly negotiate a pricing agreement and strive to have a conscious, positive impact on the local economy. It guarantees its products for life, happily replacing them if any problems arise. It’s no wonder the company has a perfect 5-star rating on Amazon over thousands of purchases. For more information and to purchase a Tibetan singing bowl, readers are encouraged to visit http://www.silentmindsingingbowls.com.